CAMPAIGN! Original illustration art by Harry Nørstrand, signed, numbered 1897. From late sixties! 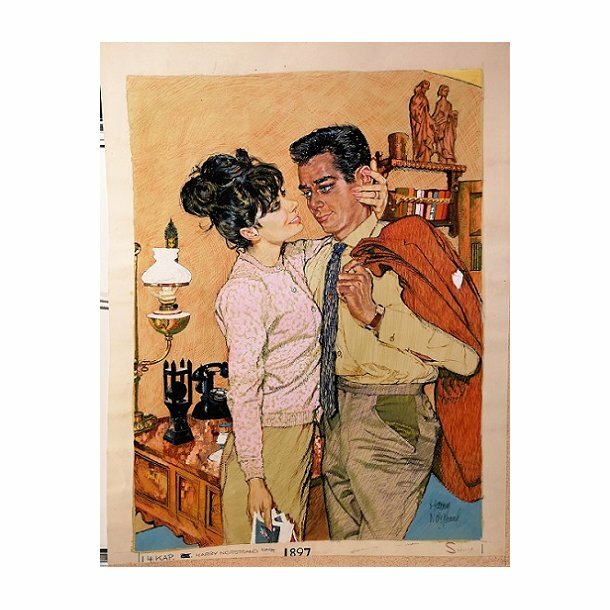 Harry Nørstrand: "Eye Contact", original illustration art, signed, late 1960's. Numbered 1897 by the artist! Size is 45 cm x 59 cm, painted on board.